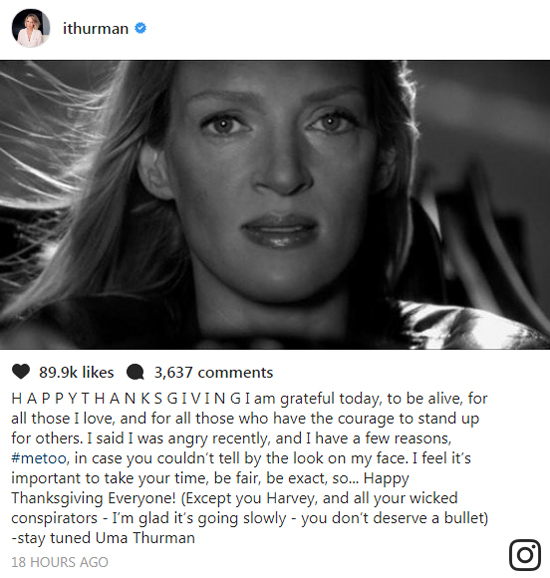 A recent Instagram post by Uma Thurman, star of Kill Bill, included the #MeToo hashtag, which has been used by hundreds of people across the world to share stories of sexual harassment and expose cases of sexual abuse. Karen, Director of Development and Partnerships at Missing People, blogs her response to Uma's post. There is something so familiar to me in this, linked to my work. For over a decade I’ve built a career which is, at it's core, about creating spaces for people to talk. To disclose; what’s happening inside their heart, within their head and behind their doors. It takes time and trust to create this space. It’s not a quick thing. 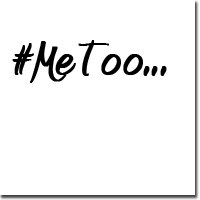 Many of the people, often children, I’ve worked with have stories to tell of all kinds of abuse dished out by people with some form of power over them. Those stories can come in stages. In little pieces like a jigsaw. Through blind ignorance to crushing realisation, sometimes. On this world stage, with all her fame, I see Uma doing the same. I am proud to be part of a society which listens to her whilst she goes at her pace. Tells her story in her words, when she is ready. She, and her experiences, don’t belong to us. They belong to her and her only. Through Runaway Helpline and return home interviews for missing children, we do this at Missing People every day. We listen. We don’t judge. We let the person tell their story, at their own pace, in their own words. Thank you Uma for showing the world that disclosure of abuse takes time. You’re modelling normality for millions of people who, like you, have a story of pain that they’re not ready to blurt out in one perfect, ‘report-ready’ form. If you have been affected by these issues and you are thinking of running away, or you have left home, you can contact us for advice via our helpline which is 247, completely free and 100% confidential. If you are under 18, you can also find advice on the Runaway Helpline website.